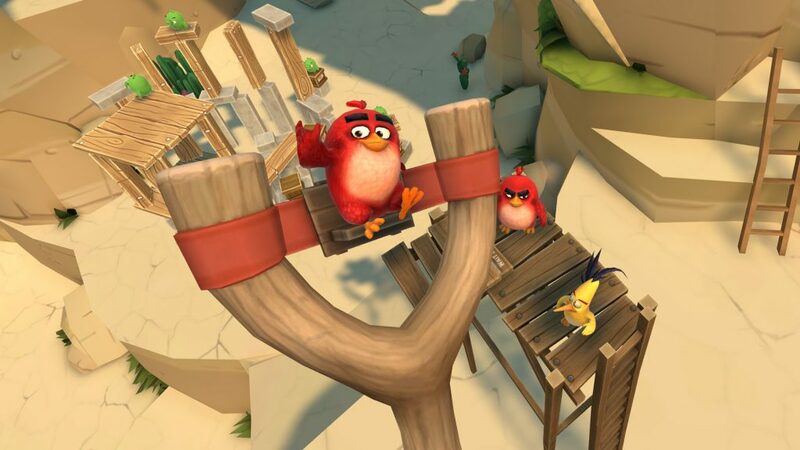 If you thought the Angry Birds were going away think again as the little birds are now making their way to a new reality in Angry Birds VR: Isle of Pigs. 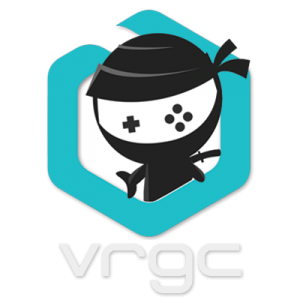 Rovio Entertainment and Resolution Games have brought the franchise to PlayStation VR for the first time and if you’ve ever played one of these games in the past ten years you’ll know mostly what to expect in this latest iteration. 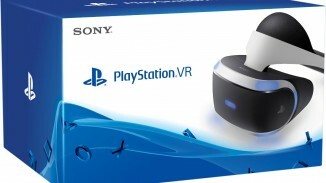 First thing I’ll mention is that you will need two PlayStation Move controllers to play this game as there is no Dualshock 4 support. Once you got your PlayStation VR headset on and Move controllers in hand it’s time to step on to the island and start knocking down structures with your slingshot bird device. If you’ve played Angry Birds then this game will be very easy for you to get into. 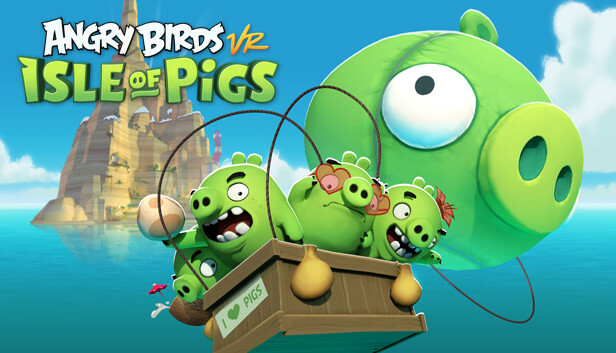 The whole goal of the game is to shoot the Angry Birds out of your catapult to knock down various things and kill the green enemy pigs in this game. The controls felt really responsive to me as I used one Move controller to aim and the other to pull back on and shoot the birds. There were a couple times where I encountered some tracking issues but nothing that really hurt my overall experience with the game. The addition of being in VR however allows you to move around the 3D space to get better angles and line up better shots which is something that just isn’t possible on a traditional screen. Depending on how you do each level grades you with the 3-star rating system that is usually found in these games. Most levels are pretty short making it quick and easy to jump back in for another try if you don’t manage 3 stars on the first go round. There are 50+ levels in the game divided up into four worlds that took me around three hours to get through during my playthrough. It could take you more or less depending on whether you are trying to get all the stars or not. The price may be too high for some for only a few hours of content but I do want to mention that the developer have already released 13 new levels for the game on other VR devices and they plan to bring those to the PlayStation VR version soon. 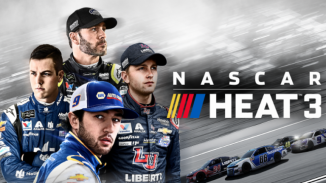 They also plan to continue adding more levels to the game in the future with the goal being to have over 100 by the end of the year. 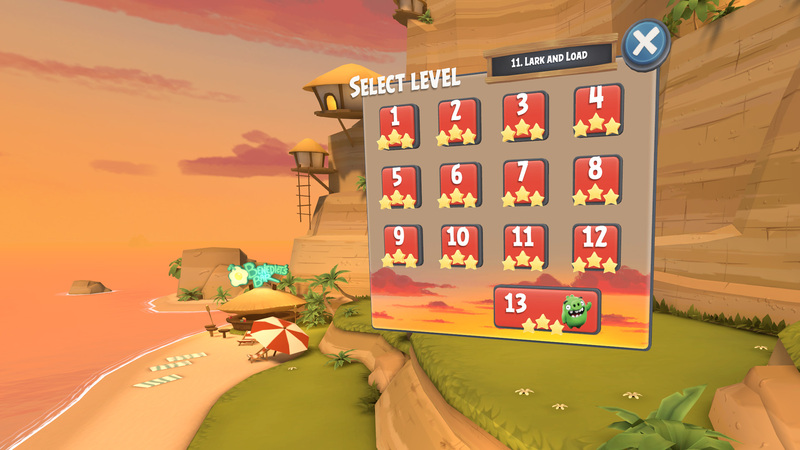 As you go through the levels you’ll get new birds to use that have different abilities. Black birds explode, yellow birds are better for using against wooden objects, blue birds feature a cluster bomb like effect, where instead of it being one bird they are three, and then you have the iconic standard red birds. 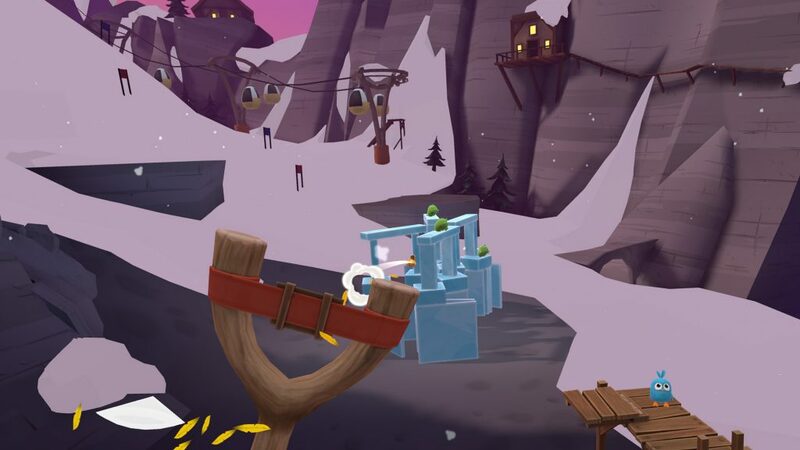 New structure elements such as ice and more are introduced as you progress as well so learning how to use the different birds to knock down these various structures in one hit is key to getting three stars in all the levels. Each world also ends with a boss battle which has you taking on a boss pig and finding ways to bring things down on it to deplete their health bar. I found them to be a nice little change up to close out each world. 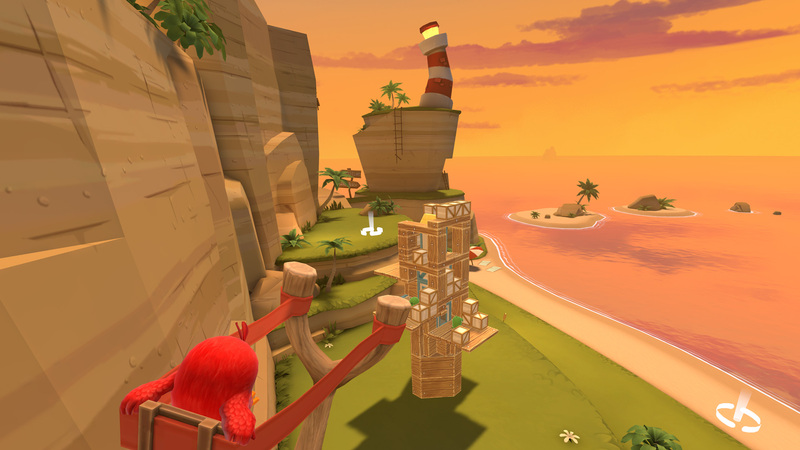 The Angry Birds art style looks great in the PlayStation VR headset as well with the visuals being very colorful and sharp. Watching the structures tumble over and take out those evil pigs was always satisfying. That said more probably could’ve been done with the environments to make them more lively and interesting. The soundtrack is pretty cute as well and never got on my nerves during my playthrough. If you like trophies the game has 12 in total but no platinum trophy sadly. The list is fairly simple and you’ll pretty much get them all if you beat all the boss pigs and 3 star every level in the game. 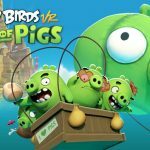 Angry Birds VR: Isle of Pigs sticks to the same formula the franchise has been using for years now but I had a good time with it while it lasted. Being able to move around the 3D space in VR to better plan my shots was neat and it looks pretty good as well. I’ll definitely be jumping back in when the add more levels to the game throughout the year. 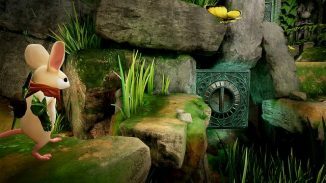 If you want to dabble in more Angry Birds and physics puzzles for a few hours give this one a try.